Give it a try guys! She's one of the few English singer that I listen to, and she's great! The rest of the songs from this album and songs from 2nd album are available upon request! Download and tell me what you think, even if you don't like it after listening! Woah Delta! I love that singer! She's got such a beautifully gorgeous voice that sometimes she reminds me of Celine Dion. Also do you have any b-sides of her singles by any chance? They are the only ones I'm missing since I have both the albums on my comp. Wow, I didn't know her single has b-side lol. I don't have them at the moment but I'll post them up if I manage to find them somehow. Don't you think it's quite weird for her to release an album and then release single for songs that are included in the album? For example her latest single is "A Little Too Late", which is a song from her 2nd album. I notice there's songs in this upcoming single like "The Riddle" and "If I Forget", I guess those are the b-side you're looking for. Yeah she always does that. First releases an album then the singles. Must be a different system from Japan. Anyhow yes that is what I meant by b-sides ^^ I have some myself if you'd like me to upload too. i have her first album, my fren brought it from australia. It's deluxe edition, includes the lyrics booklet. Maybe you guys can get it anywhere, but not in Malaysia, so i am so glad so have this. Well, i love this album very much. esp born to try and a year ago today. Mind to upload some of the b-side for me, Rinoa? I haven't heard any of them and would like to see if they are any better than those songs from the album! Thanks! ^ Sure I will I'll upload some tonight! i dont like her ... hahaha .... there is something about her that really annoying. Perhaps its because I live in Aussie and hear a lot about her. i know what clip your talking about, i think it was No, not me not I.
i have to agree with AiSuki, i use to like her alot, but now im tired of hearing from her. hehe I'm aussie and she was really big at one point. she's still big, but not as big as she was when she debuted. 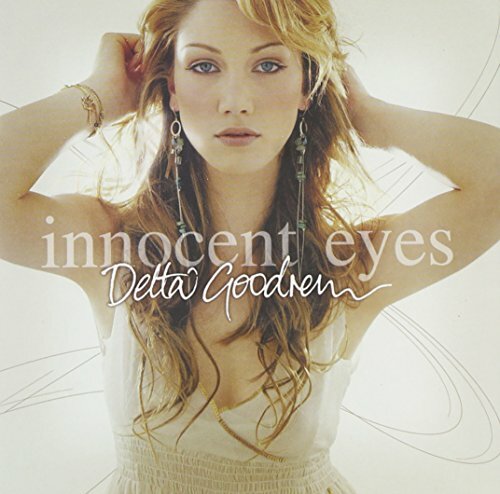 her Innocent Eyes album was at No 1 for 50 weeks for so...... thats nearly a record. Ah yes Delta. She had a Visualise Tour bet she had a lotta fans after her.